Bungie has been putting on some Twitch streams these past couple Wednesdays to show off some of the new content that's coming in the 2.2 update for Destiny. Aside from the holiday themed events and the Sparrow Racing, there hasn't been much in the way of new content for the cooperative shooter since The Taken King arrived last fall. 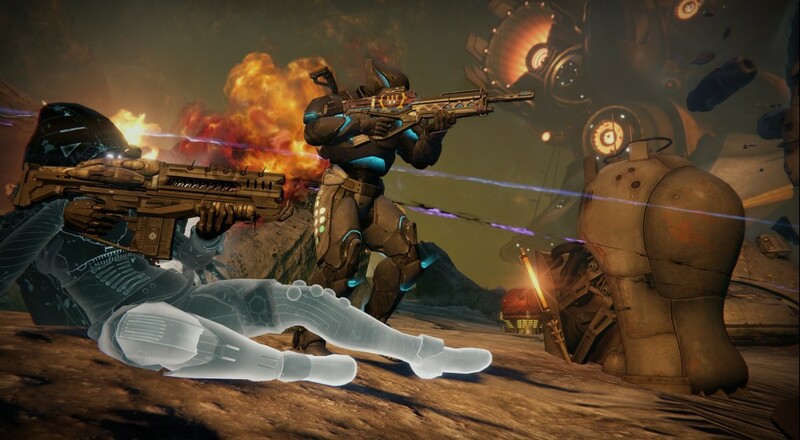 Now, Bungie appears to be making strides to try and bring players back to the game. There's one more Twitch stream scheduled for the new content in the April update scheduled for next Wednesday, April 6. This one will focus on some Crucible and "Sandbox" updates. No doubt these changes have been in the works for some time. The timing, though, is convenient for Bungie as Ubisoft launched The Division earlier this month and the big update for that title, which will add the first raid event (called "Incursion"), is slated to hit in April. As I mentioned in Mike's review for The Division, my biggest hope for these two titles is that they push one another to be better games and provide engaging content. Looks like we may get a first glimpse into whether that will become a reality when the Destiny 2.2 update arrives on April 12.